The Integral Diaphragm Pressure Transducer For Launch Vehicles, or IDLV is a bonded foil strain gauge type transducer. In this transducer, there is a machined diaphragm, to which the circular strain gauges are bonded on one side. The pressure is applied on the other side. The deflection caused due to pressure is sensed by the strain gauges as change in resistance. These strain gauges are connected in a wheat stone bridge con guration. 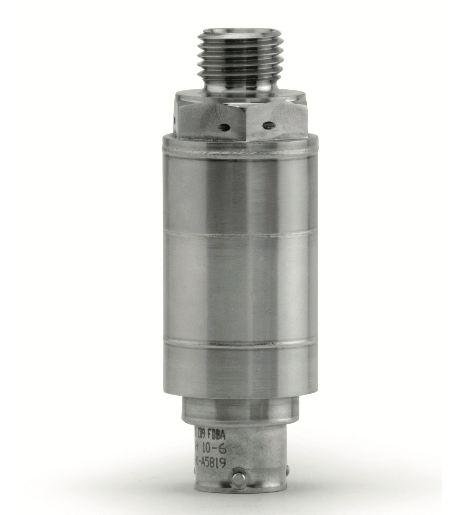 These transducers are totally enclosed, adequately temperature compensated and are designed to operate even under adverse environmental conditions. They are hermetically sealed and suitable for high humidity environment as well. This sensor is available in direct mount and integral clamp type with M5 hole. Succesfully flown from PSLV-C22 onwards, GSLV-D6 & LVM3 X/D1 missions.